Believe it or not it actually gets cold here in Tucson. The weather stream here in the Sonoran southwest can be pretty extreme. Like just a month ago we were in the 100s then, boom!, before you know it we are wearing jackets and turning on the heat at night. It can really be that quick of a temperature change. Where once our garden was suffering because of the beating heat and intense stare from the sun, a few weeks later we have to cover up the plants because of a freeze warning. It's pretty crazy. It can even snow in Tucson. One of the first winters here since moving from California it actually snowed a bit in midtown Tucson and we made tiny snow people in the courtyard of our home with our then neighbors. That was like ten years ago and its has only flurried a few times since then. But, still! Not that this day that we are blogging about now was anywhere near a wintery wonderland but...well, it was a lil' chilly. The temperature of this particular day was probably somewhere in the high 50s or low 60s but because of the piercing wind it felt much colder than that. Plus it was really overcast. The usual blue sky was blanketed in a thick gray screen which doesn't happen a lot here. Late autumn/early winter was definitely upon us in the Old Pueblo and we needed to warm up a bit. Finding ourselves near the Park Place mall on Broadway (for no real particular reason, we were just there, not shopping just...there) we took to our phones to see what we could find lunch wise that didn't come in food court form or some mega chain glop. Luckily we hit pay dirt. 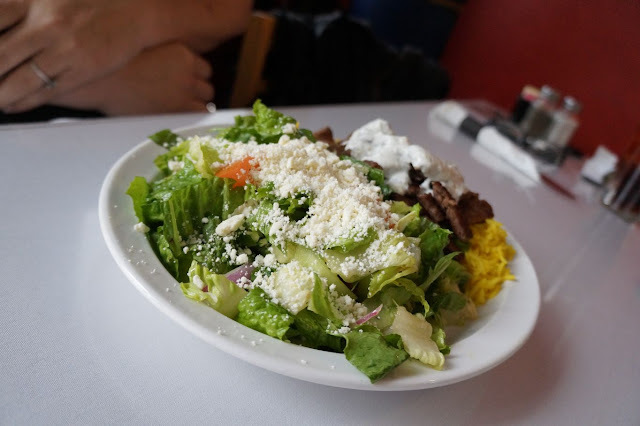 Can we have some salad with our feta please? 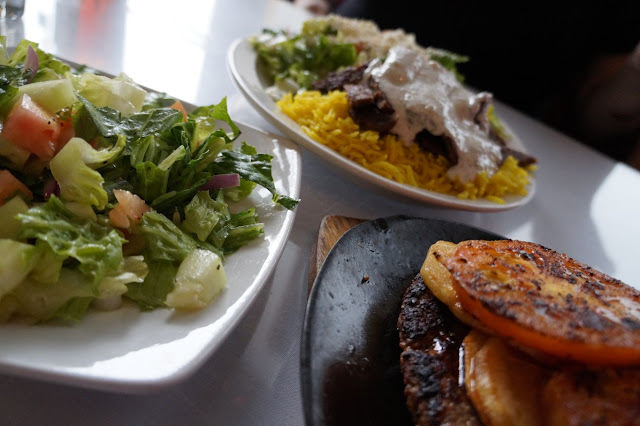 The Shish Kebab House is a place we have been meaning to try out for quite some time and fortune smiled on us seeing as we are rarely in that neck of the woods. Craving some hearty grub and a spot to chill out in away from the chill, we walked into the little restaurant in a strip mall bookended by pizza joints to see what we could see. And eat. That was the most important part. We were really hungry. Hopefully Shish Kebab House would not disappoint. Happily, it totally did not. Hate to use this word but, The Shish Kebab House is cute. Its cute! Just a few tables lining the length of the place with a bar prominent in the entrance, with a look and feel of an Arabic cafe, we took a seat near the window so we could stare out at the midafternoon gloom and gawk at people entering a pizza colossus with a roller coaster inside as we dined. Oh. Nevermind. There's a kid's party going on and dads in golf shirts are hitting the Bud Lite pretty hard. No, we're good. We're happy here. Whew...that was a close one. 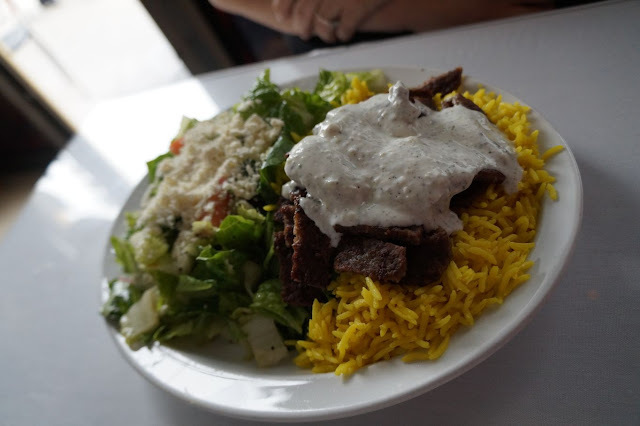 We got the gyro platter, some salads and something called kafta be seyneyiah which is a Jordanian dish made with beef, lamb, potatoes and tomatoes. Sure. let's give it a whirl. First off, the plates are huge. Not just the plates, but the food atop them. Heaping mounds of delicious seasoned meat, steaming and sizzling among the holiday shoppers wrapped up like Eskimos...but with cargo shorts. All of it succulent and divine. We really wanted to try a traditional dish from Jordan called oozie (mainly because its called oozie) but we weren't in the mood for pine nuts which that recipe calls for. Made with rice, peas, lamb, beef, chicken, ton of spices and, yes, pine nuts this dish is ginormous and we will definitely try it next time we are here. Just not a fan of pine nuts. Eh. What are you gonna do? 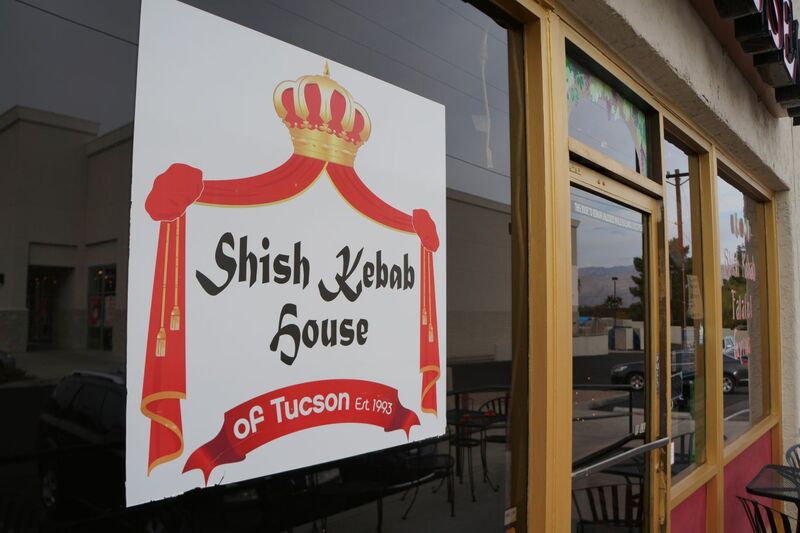 Shish Kebab House also house makes their humus, falafel and offer a zatar pizza that we are sure will rival their neighbors. All the patrons in the place were silent yet happy, eating and thriving on the savory goodness of very generous portions. The service was friendly, the music was lively and mercifully muted and we left with full bellies and a lot of leftovers. This is a place everyone should try. Plus there are a lot of vegetarian options so you can bring your picky yet conscious minded friends with you. The flavors and use of spices and ingredients were supple and well honed. The dressing for the salads were herby, bright and fresh over crispy greens and seasonal tomatoes. 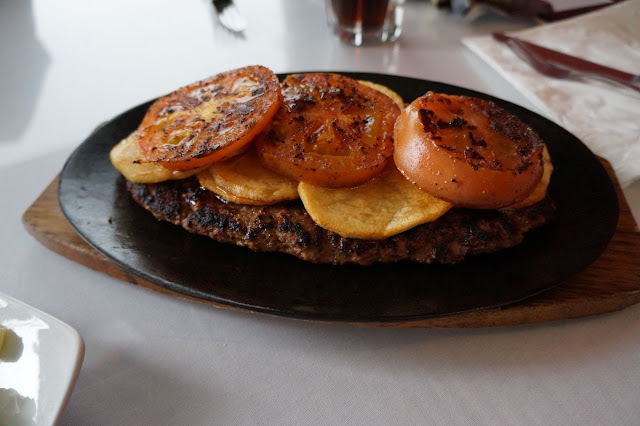 The meats were cooked to perfection and warmed us from the inside because once we got back outside we needed that Mediterranean influenced heat. At first you might be put off by some of the prices (you will average about $10-15 per plate) but believe us it is well worth it. We had Shish Kebab House food for lunch and dinner and, yes, we could have had it for breakfast too. 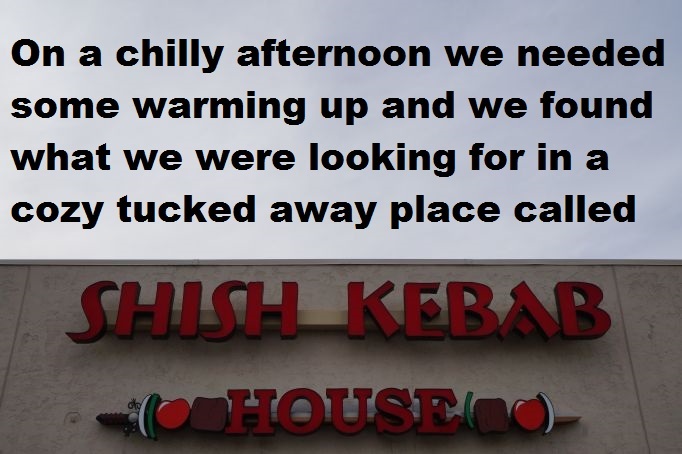 So when you find yourself by the Park Place mall and want an incredible and very satisfying meal, do yourself a favor and avoid all of the corporate crap that tends to bottom feed near shopping areas and step inside Shish Kebab House. Even if it's not cold out it'll wrap you up in a warm pita blanket and give you visions of cous cous dancing in your heads. Give Santa a shawarma to eat instead of some crappy cookies and milk. He deserves it even though he forgot to bring you at new iPhone thingy you wanted. Maybe next Xmas he will make all of your wishes come true, all because of the power of Shish Kebab House magnificence. 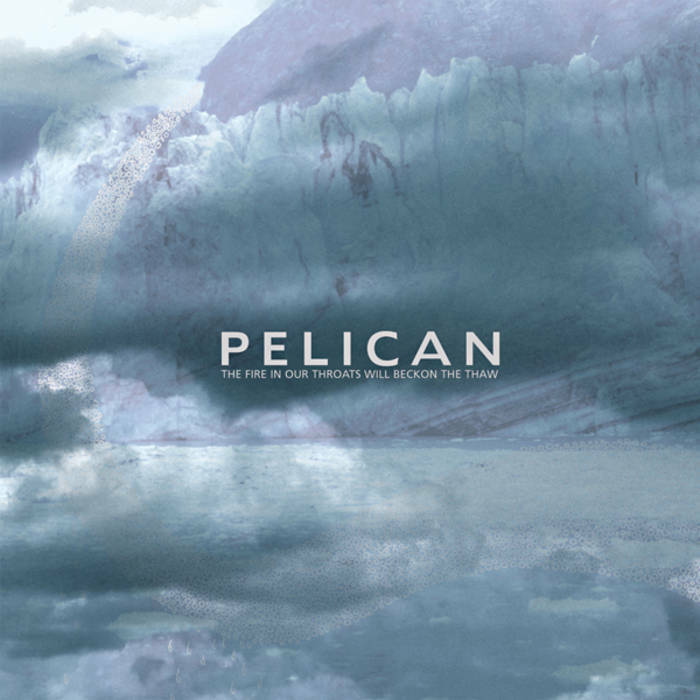 "The Fire In Our Throats Will Beckon The Thaw"